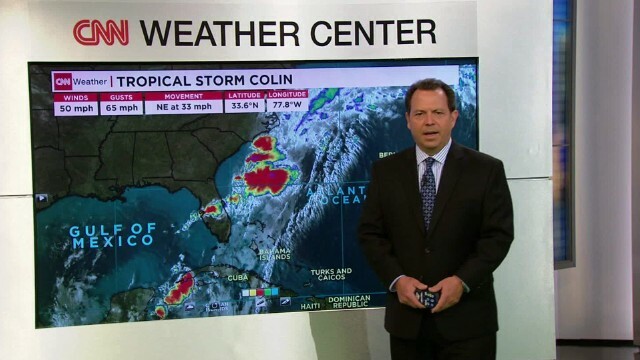 "It's OK to be wrong as long as you learn from your mistakes..."
A CNN meteorologist is speaking out about how he went from questioning climate change to siding with the 97 percent of scientists who acknowledge human activities are warming the planet beyond repair. “As I tell my 11-year-old, ‘It’s OK to be wrong as long as you learn from your mistakes,’” meteorologist Chad Myers wrote on CNN this week. Myers ― who also tweeted about his change of tune following Nye’s comments ― wants to set the record straight. In the 1980s and ‘90s, Myers explained, the scientific community wasn’t entirely on board with the idea that fossil-fuel consumption was any more responsible for rising temperatures than were volcanoes, solar fluctuations, city heat-islands, concrete production or cattle. Even as late as 2009, Myers wrote, only 24 percent of on-air meteorologists agreed that most of the warming since 1950 had very likely been caused by humans. But when 2010 was named the hottest year ever recorded ― a record that’s since been broken by 2014 and 2015 ― and there were no volcanoes spewing massive amounts of carbon dioxide into the atmosphere, no increased temperature of the sun and no evidence of the heat-island effect, Myers was convinced. Its more the evolution of a narcissist who thinks his 4 year degree is anything superior to thousands of PhD’s around the world having a consensus. What an ego! In 2010 he claimed climatologists were lying to protect their government jobs. Now no apology to them? No wonder CNN is in perpetual financial trouble.